ONTIME offers most admired and trend-setting designer watches and jewelry. 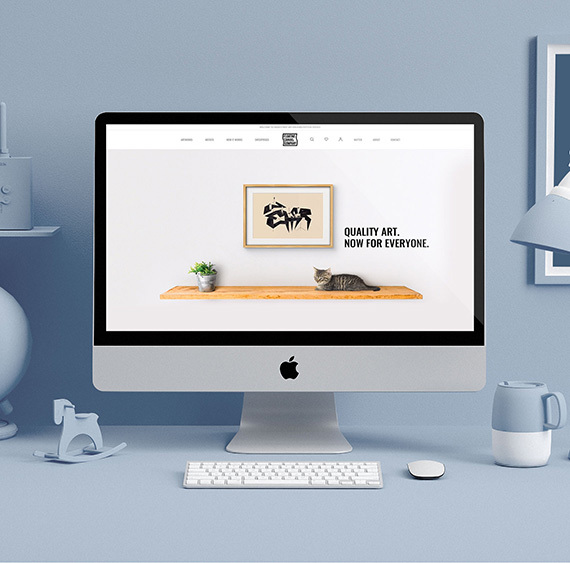 Webandcrafts skilled team helped them to come up with an updated online experience. With an attractive UI, we managed to present their portfolio in a much attractive and engaging way. 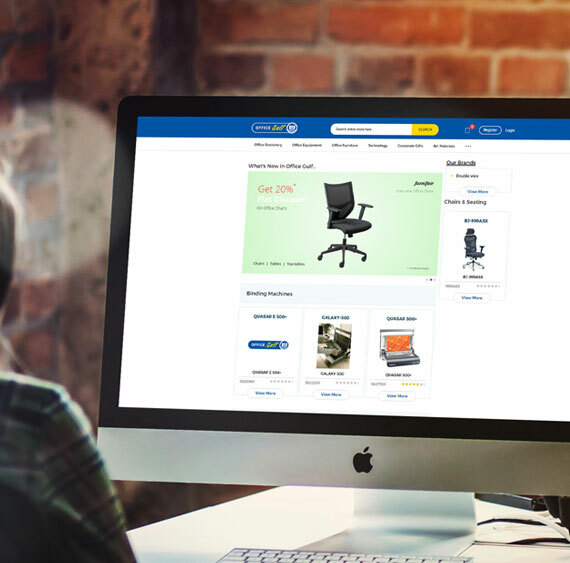 Apart from good cosmetics, we also ensured a strong-backed for a better e-commerce experience. Shalom Media is an international Catholic media ministry. They wanted an e-commerce platform to showcase their online store to worldwide users. 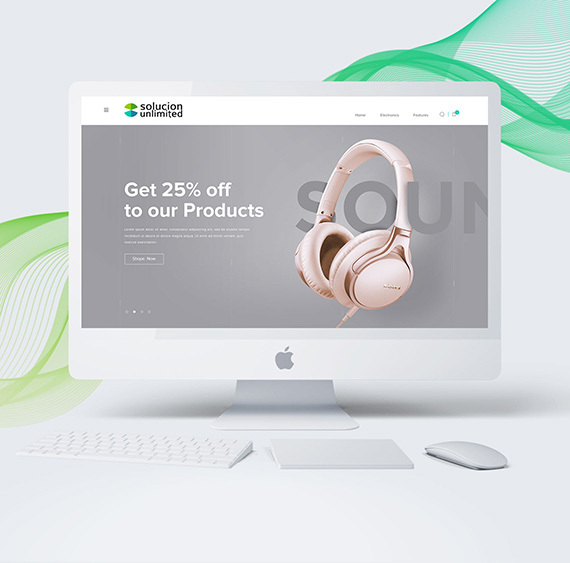 By understanding their requirements, we came up with the best interface to make the website suitable for readers to easily navigate and to read what they love. Slickly designed premium grade Grandeuro shopping cart with fantastic textures, soothing color palette and a stellar arrangement of delicacies. The responsive strategies ensure the accessibility on all platforms regardless of the device used. Less container is an online fashion store which is expressly focused on catering sophisticated clothing for womankind. Their obligations were very specific that they wanted to offer the most simple and concise platform for their users. With effectual strategies and impeccable development procedures, we fabricated an elegant solution which not only satisfied them but also made them a benchmark in the fashion industry. 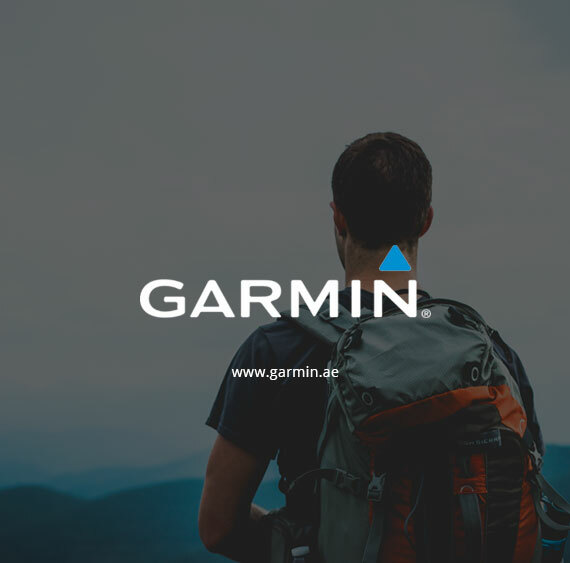 A front-end proficient enough to showcase all the products and a stable backend for reliable performance was the prerequisite of 'Solucion Unlimited' an online gadget retailer. 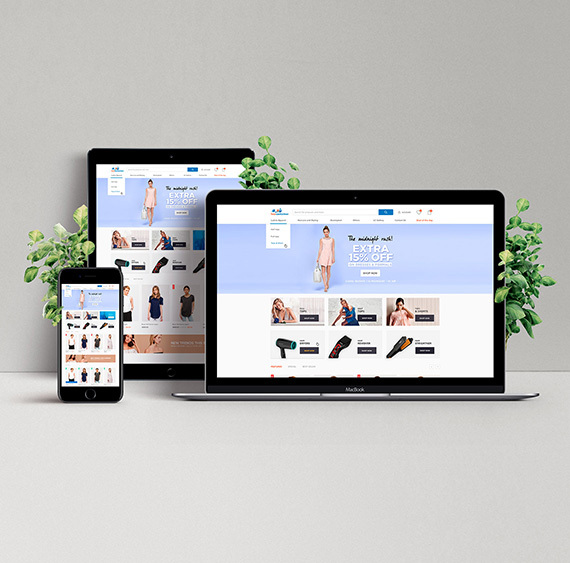 By keeping all the necessities in mind we crafted a perfect E-Commerce platform that brought the definite and forecasted success which reflected in their online presence. 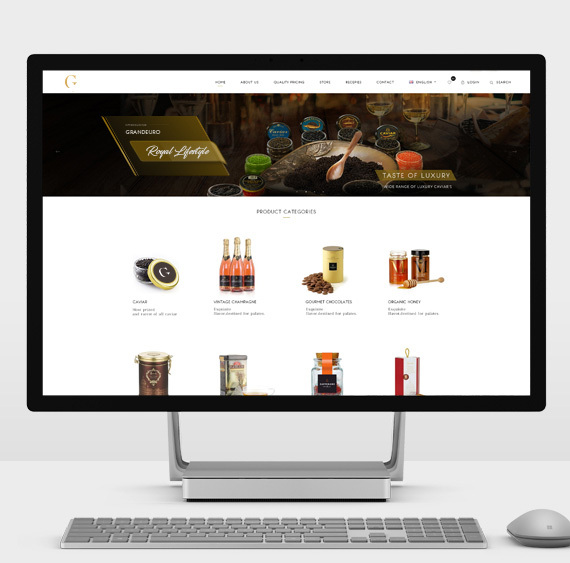 The latest offering from Ahalia Group is sure to take the ecommerce space by storm with its unique and user-friendly features developed in Magento. Elegant design when combined with skilful programming has brought out a product in all its finesse. 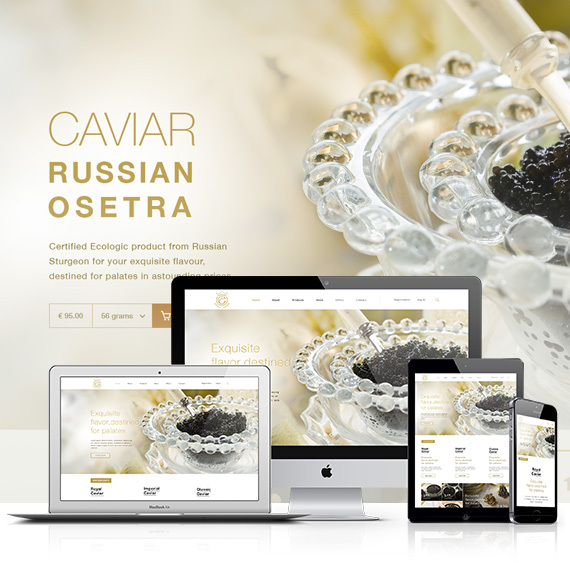 A product based ecommerce for the Global Caviar Market. SimplyCaviar would cater corporate customers and end users with its clean user experience and expressive illustrations. Designed for grandeur but heavily influenced by the Arabian heritage, Hala Cafe has a personality of its own. 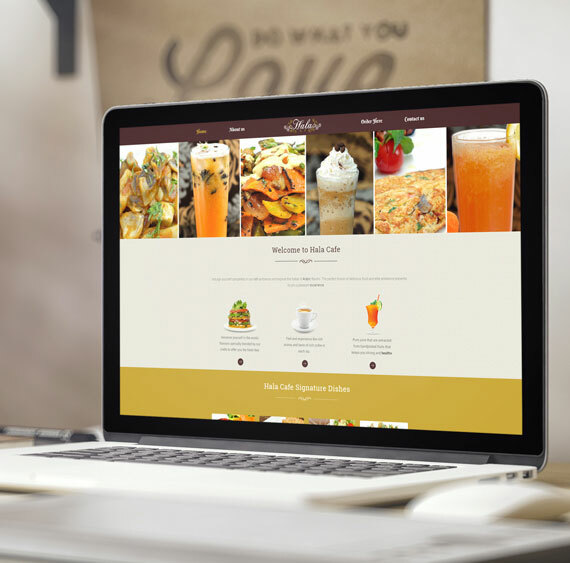 With smart food menus that can be easily updated in seconds and vibrant images of the prepared food stuffs, this convenient online food order system developed for Hala cafe has a lot to do apart from giving out the information their customers are looking for. Bell & John Trading Co. W.L.L , based in the state of Kuwait is reckoned as one of the leading office solution provider offering core office supplies and other essentials for every workplace. Office Gulf is a fantastic example of well-built Magento ecommerce website and the myriad benefits that it provides. 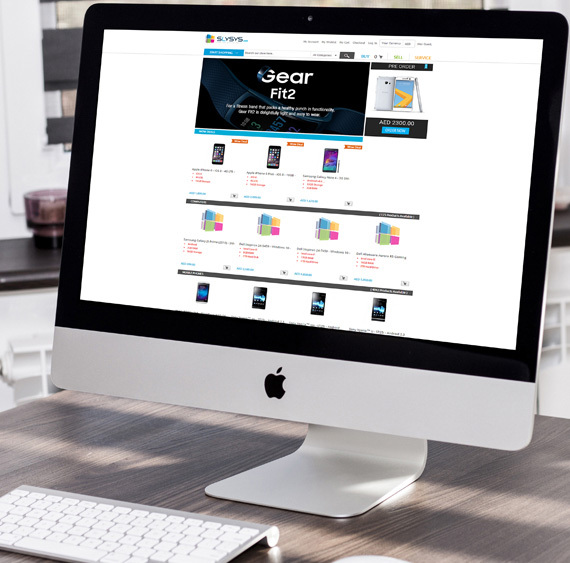 An Online store wherein a customer can buy, sell and service any computing gadget. SLYSYS involved an integrated CMS to manage stock and sales within the site; also integrated is a payment gateway for hassle free money transaction.